Cullen Hundertmark was born in Milwaukee, Wisconsion, but grew up in the great city of Maple Grove, MN. He graduated from Maple Grove Senior High in 2012. His background is in customer service. He started as a dishwasher at Mongo’s Grill in Maple Grove when he was 16. After going to Minnesota State Mankato for a year, he moved back and became a manager at Mongo’s at the age of 20. After being in restaurants for several years, his passion for working with people and excellent customer service skills brought him to real estate. 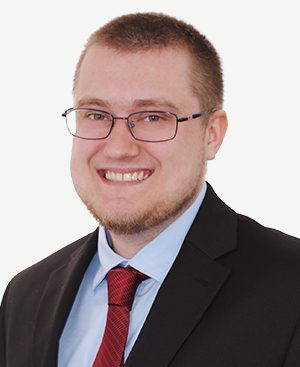 He finished up his real estate school in June 2017 and joined the Kerby and Cristina Team in March 2018 to continue his pursuit of a career in real estate. My dream job would be… I absolutely love Real Estate, but if I were to have a fallback, I would love to be the General Manager of the MN Timberwolves and bring a title home. My first job was… A dishwasher at Mongo’s Grill in Maple Grove. When I’m not working, you’ll find me… At Whirlyball (winning league championships) or at the frisbee golf course. The best “unknown” restaurant I’ve been to is… Slope and Hatch in Glenwood Springs, CO, but locally, its Serum’s in Anoka - the best wings you’ll ever eat! My favorite food is… Chicken wings – pretty simple. Favorite vacation spot… Anywhere in Colorado. The mountains there are one of the most breathtaking things I’ve ever seen.